FDC series 6800 is 3M 680 3M™ Scotchlite™ Reflective Graphic Film - This is a premium quality flexible, enclosed lens, retro-reflective film that resists cracking in cold climates. 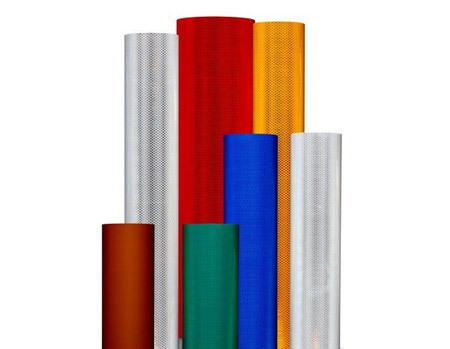 This product is ideal for both large graphics and graphics applied to corrugated substrates. 6800 comes with a positionable, pressure-activated adhesive that is a mechanical feature, not an adhesive property. To order punched material, use part number 6850.